Do I Need Maintenance For My Heating And Cooling System? Do you really need to perform maintenance on your HVAC system? It’s one of those costs that most people would like to avoid, but it also seems like a necessity to others. If you stop for a moment to think about what maintenance can do for your home and your heating and cooling system, you will realize that the answer to the question is actually quite simple. From a purely financial standpoint, the answer is a resounding yes. You need HVAC maintenance because failure to maintain your HVAC unit will lead to bigger problems in the future. A small problem today can be catastrophic tomorrow, and you don’t want to deal with the major bills that accompany a full replacement of your HVAC unit. This type of maintenance, much like the maintenance for any type of big machine, is better done ahead of time so that you do not have to spend thousands of dollars on an unexpected replacement. At the same time, HVAC maintenance keeps your utility bills down. The bulk of your energy bill comes from either air conditioning or heating, and your energy use for both parts of the system stays down if the system is in perfect condition. The longer that you go without maintenance, the more money that it’s going to cost to run your HVAC system. As such, anyone who wants to make sure that he or she isn’t paying more than necessary will go out of his or her way to make sure that maintenance is done on a reasonable schedule. HVAC maintenance is also good for the health of your family. Some of the problems that can go wrong with an HVAC system can actually endanger your health. These problems include CO build up, open pilot lights, and poor air quality. If you take care of them early, you won’t have to deal with the illnesses that can follow. 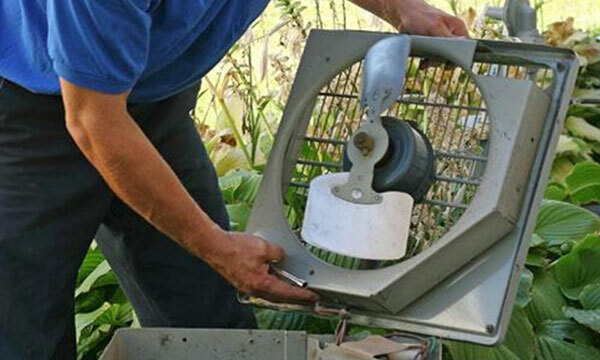 HVAC maintenance is a necessity for any homeowner. You may not like to pay the price, but it’s worth it in the long run. By having Zodiac Heating and Air Conditioning provide regular tune-ups for your furnace and air conditioner, you’ll reap the benefits of routine preventative maintenance and save money. Not only are our furnace and AC tune-ups always affordably priced, but we also offer additional benefits when our San Fernando Valley customers sign up for our Maintenance Agreement program. Maintenance Agreement members get two tune-ups each year (AC tune-up every spring and heater tune-up every fall) and priority scheduling and 15% discount on repairs. Our comprehensive furnace and AC tune-up services are available throughout Simi Valley, Valencia, Glendale, Van Nuys, Northridge, Calabasas, Tarzana, and surrounding cities. Follow us for more information on HVAC systems, home health, and your heating and cooling needs.